2017 National Electric Code is Here! The TDLR Arc Flash is here to keep licensed electricians, city officials, and consumers throughout Texas informed about TDLR's Electrician Licensing program and our efforts to enforce the laws and rules associated with the Texas Electrical Safety and Licensing Act. We hope you will find this information useful and informative. To subscribe to email news and updates about the Electrician program, or to review your email subscription settings, visit the TLDR Email Updates page. Arc, the Texas Electrical Safety Armadillo, wants to remind you: while he loves to dig, if you are undertaking work that requires a hole or a trench, you need to take precautions and “Call 8-1-1 BEFORE You Dig." TDLR encourages our licensees to follow the guidance provided by the Railroad Commission of Texas through their Pipeline Damage Prevention Program. To help protect against personal injury, loss of life, costly property damage, expensive repairs, and legal and civil penalties, please read the information included in the link above. Remember that power lines are underground as well. Underwriters Laboratory (UL) warns all authorities having jurisdiction - including building owners, installers, and consumers - about the growing number of reports of improperly installed and uncertified retrofit lighting kits that may pose a fire or shock hazard. Please read the Public Notice from UL. 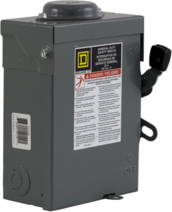 On April 17, 2018, Schneider Electric announced the recall of Square D brand General Duty 30 & 60A, 120/240-volt, 2-phase and 3-phase NEMA 3R Safety Switches due to a safety hazard. The hazard involves the possibility of the power staying on when the safety switch handle is in the "OFF" position, posing an electrical shock or electrocution hazard to consumers. The recall effects approximately 1,079,000 units. More details on the Schneider Electric website. UL issued a notification on April 30, 2018 that the portable luminaire pictured at left bears an unauthorized UL Mark for the United States and Canada. These portable luminaires have not been evaluated by UL to the appropriate Standards for Safety and it is unknown if they comply with any safety requirements. Read the public notice on the UL website. The Texas Electrical Safety and Licensing Act requires TDLR to adopt the revised National Electrical Code (NEC) as the electrical code for the state of Texas. In August 2017, the Texas Commission of Licensing & Regulation, TDLR's governing body, adopted amendments to Chapter 73.100 of the Electricians Administrative Rules and established the 2017 NEC as the "minimum standard" for all electrical work in Texas covered by the Act. The effective date of the adoption was September 15, 2017. Chapter 1305.201 of the Act provides municipalities the authority to make local amendments to the 2017 NEC; however, any proposal to amend these standards should be done in accordance with NEC 90.4 which stipulates, "the authority having jurisdiction may waive specific requirements in this Code or permit alternative methods where it is assured that equivalent objectives can be achieved by establishing and maintaining effective safety." Expectations are that any non-exempt electrical work started on or after September 15, 2017 will be installed in accordance with the 2017 NEC. The “start” of electrical work is the day the electrician begins installing electrical materials or equipment within the residential or commercial building structure. Inside the corporate limits of a municipality, electricians must abide by city permitting requirements and adhere to any local code amendments. Beginning October 1, 2017, all examinations for state electrical licenses are based on the 2017 NEC. The state electrical exams are available through PSI, who contracts with TDLR to develop, maintain, and administer the state electrician licensing examinations. License candidates should review the Candidate Information Bulletin (CIB) which contains detailed information regarding the examinations that is vital to understanding the examination process. 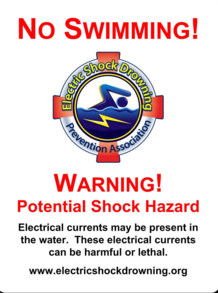 Make sure to get periodic inspections of electrical equipment around your pool or favorite water attraction before the summer fun begins. Check to ensure your electrical contractor uses only licensed electricians with proper training related to electrical safety and water. They should have updated knowledge of the special requirements in the 2017 National Electrical Code, Articles 553, 555, 680, and 682. All new pool electrical installations must be done by a licensed electrical contractor with licensed electricians. 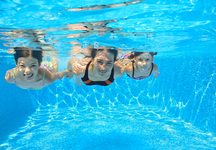 The health and safety of everyone using your pool depends on pool electrical maintenance being performed by a licensed electrical contractor with licensed electricians OR residential appliance installers. Be sure to visit TDLR's website and follow our Facebook and Twitter accounts to see important safety information throughout Electrical Safety Month! (1) The signage shall comply with 110.21(B)(1) and be of sufficient durability to withstand the environment. (2) The signs shall be clearly visible from all approaches to a marina or boatyard facility. (3) The signs shall state “WARNING — POTENTIAL SHOCK HAZARD — ELECTRICAL CURRENTS." Prior to using an outdoor receptacle, check to make sure the receptacle is protected with a ground fault circuit interrupter (GFCI) and that the GFCI is working properly. You can do this by pushing the test button on the receptacle or on the overcurrent device (breaker) inside the electrical panel. If it is not performing properly, contact a licensed electrical contractor for services. Any electrical wiring within 20 feet of a swimming pool should have protection from a ground fault circuit interrupter. THIS INCLUDES UNDERWATER LUMINAIRES (POOL LIGHTS)! Make sure overhead electrical lines do not pass over the pool. In fact, it’s best to keep your pool at least 25 feet away from power lines in all directions. Allow at least 18 feet of clearance between overhead power lines and a diving board, deck, platform, slide, or observation area. Never build an in-ground pool or set up an above ground pool over underground electric cables. Pools and pool decking should be installed at least 5 feet away from all underground utility lines. Except for specially designed lighting fixtures, don’t put electrical fixtures or receptacles within 5 feet of a pool. Be sure to comply with any local building codes that may provide more stringent guidelines than the ones listed here. Ask for proof of a state license when having electrical work performed on your residence and/or pool. 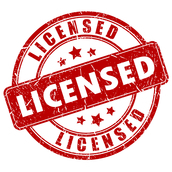 Visit TDLR License Search to verify if an electrician is licensed to perform electrical work. The license is granted to professionals who have passed a background check, have the required amount of electrical work experience, passed the TDLR-approved examination, and have met all other TDLR requirements. Contact a licensed electrical contractor and have their licensed electricians check your home’s electrical wiring/distribution system to reduce the likelihood of electrocution and fires. Leave the electrical work to the professionals! Do not attempt to fix suspected wiring problems yourself. Electrical shocks – even mild ones – are an indication of an electrical hazard. Shut off the circuit and have the electrical system checked by a licensed electrician. File a complaint online with TDLR if you find a person offering to perform or performing electrical services without a license. Help us make Texas a safer place for all! Electrical safety education for a child is important…teach them early! Display the contractor number and company name on both sides of all vehicles used in conducting electrical work. 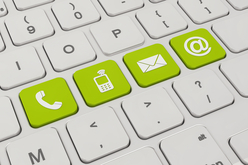 Include the “TDLR” contact information on all invoices and proposals, as well as their TECL number. Hold the appropriate TECL License if you are going to “offer to perform electrical work”. 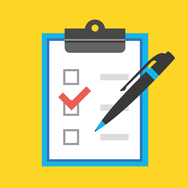 Make sure all electrical equipment is "Listed" per Article 110.3(B) of the NEC, unless the local authority having jurisdiction has amendments or ordinances in place that would supersede these requirements. Keep your license current! You cannot perform or offer to perform electrical work using an expired license - it’s the same violation as being unlicensed. Make sure the electrical contractor has a valid master electrician assigned to their contractor’s license, otherwise they cannot offer to perform electrical work. All non-exempt electrical work must be performed by licensed Electricians working through a licensed Electrical Contractor, even if the work is outside of city limits. Licensing Sweeps are intended to curtail unlicensed activity by establishing a TDLR presence, educating the public on the state electrical licensing requirements, and verifying that electrical work is being performed by licensed electricians in accordance with state law and rules. If you would like to coordinate a License Sweep in your area, please contact Chief Electrical Inspector Jerry Daniel at jerry.daniel@tdlr.texas.gov or (512) 799-1489. TDLR staff are available to hold informal “town hall” meetings to touch base with local area contractors, inspectors, and anyone interested in electrical issues. 1) Meet you in persons and put faces to our names. 3) Establish working partnerships with the local jurisdictions. 4) Answer any “hot topic” questions regarding state electrical requirements. 5) Provide additional education on the state electrical code, law, and rules. If you would like to invite us to hold a “town hall” meeting in your area, please contact Jerry Daniel at jerry.daniel@tdlr.texas.gov or (512) 799-1489. The Electrical Safety and Licensing Advisory Board met March 22, 2018 in Austin. The agenda and staff reports (PDF) are available online. The meeting was archived and is available on TDLR's YouTube channel. TDLR held a summit on March 22, 2018 in Austin to explore how the electrical industry can increase the number of qualified electricians in Texas. The agenda is available online. The meeting was archived and is available on TDLR's YouTube channel. March 5-9, 2018: Exam Development for ME, JI and RAI Exams in Austin. February 26-28, 2018: Electrical Inspector Standards Meeting, NFPA 78 and 1078 in Houston. January 14-20, 2018: NFPA Code-Making Panel 17 Meeting on Public Inputs for 2020 NEC. On January 11, 2018, TDLR held a summit in Austin to explore how the electrical industry can increase the number of qualified electricians in Texas. The agenda is available online. The meeting was archived and is available on TDLR's YouTube channel. View the presentations: Presentation 1 (4.1 MB PowerPoint); Presentation 2 (1.2 MB PowerPoint). 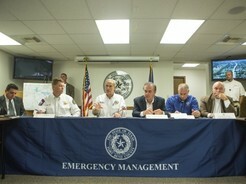 It's been nearly nine months since Hurricane Harvey devasted South Texas and the Texas Coast, and Governor Greg Abbott's disaster declaration remains in effect for 60 Texas counties. Recovery and rebuilding efforts are still underway in large parts of the affected areas. August 30 - September 1, 2017: Harvey Damage Assessment for BOAT in Aransas Pass/Rockport area. September 6, 2017: Harvey Damage Assessment for BOAT in Houston/ Galveston area. September 7, 2017: Harvey Damage Assessment for BOAT in Flatonia/La Grange area. September 13, 2017: Harvey Damage Assessment for BOAT in Vidor/Orange/Bridge City area. In accordance with the disaster declaration, TDLR issued 528 temporary apprentice electrician licenses to experienced electrical workers from out of state who came in to help with the recovery. The hard work of rebuilding will continue, in some cases for many years to come, and TDLR will be there to assist when our neighbors need us. To find out more about the ongoing recovery and rebuilding efforts, visit the Rebuild Texas website. For the hearing impaired, Relay Texas - TDD is available at (800) 735-2989. Your participation/input is critical. If you have any questions, concerns, comments, or observations, please contact us. We want to hear from you. Please feel free to take this information and PASS IT ON! Questions? Post them on TDLR's Facebook page, tweet us or email CS.Electricians@tdlr.texas.gov.